Stargate: Continuum (2008) | Tales From The Ipe! 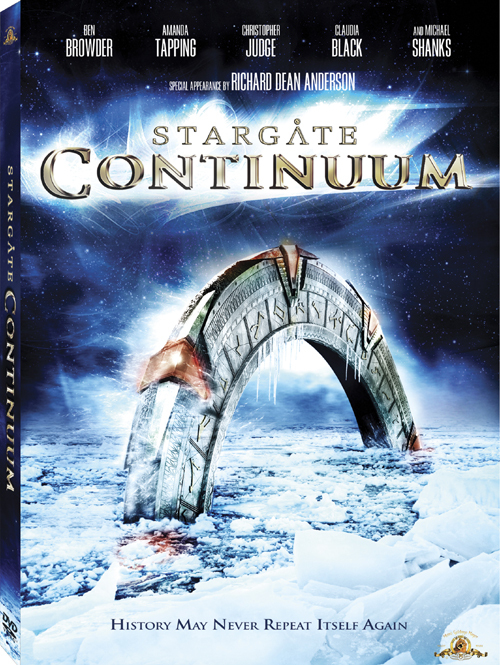 I rented Stargate: Continuum, the latest direct-to-DVD movie based on the Stargate SG1 tv series. In this one, the evil Goa’uld Ba’al travels back in time and prevents the Stargate program from being started. SG-1 must somehow restore history. It was a decent direct-to-DVD movie, nothing special, felt like a tv movie, apart from the swearing and the enhanced special effects. Popcorn movie to entertain you on a quiet Halloween Friday night. This entry was posted in Personal and tagged movies, scifi. Bookmark the permalink.